Follow our blog and read about work from fellow arts leaders. Creatively crafting compelling content for any number of performances, programs, and posts can easily help you stand out as an arts manager. But how can you tell if what you wrote is compelling? How do you know if it’s clear and concise? Let me stop with the alliteration and tell you how…readability methods! Readability methods are designed to be objective and measure your writing quality in a quantitative way. They can help you tailor your language for specific audiences, help you improve your current writing style…really, the applications are endless. I myself only discovered them a little over a year ago. Full disclosure: there are many methods out there to assess readability, but the one I’m presenting here is, in my opinion, the most accessible and the easiest to understand. So, without further ado, enter the Flesch and Flesch-Kincaid readability methods. So, why Flesch? It’s a tool that can be activated in Microsoft Word through the spell check feature and it takes no additional widgets to get. Real talk: everyone uses Word these days for their writing needs. You can’t get much more easily accessible than that. This particular method also produces two different statistics: Flesch Reading Ease and the Flesch-Kincaid Grade Level. Flesch Reading Ease determines how easy it is to read what you wrote. It is typically calculated on a scale of 0-100 based mostly on word length; the higher the number the easier your work is to read. The Flesch-Kincaid Grade Level assigns a grade to your writing on a scale of 0-20 based mostly on sentence length and structure. The lower this score, the easier it is to read and understand your work. Use short, simple sentences. Find ways to use fewer words to say similar things. This will increase reading ease. Long, complicated sentences are hard to understand and tend to hide your meaning. I always cringe when I get 4-5 page appeal letters for this exact reason. Length isn’t bad, just know your audience and make sure you’re consistently conveying new, direct thoughts. Choose your words wisely. Make sure to put the most important words at the beginning and ends of sentences, and select words that aren’t too long or complex. Short words can be bad for readability too. Multiple prepositions (i.e. of, at, in, on, as, etc.) can indicate long, awkward sentences. We’ve all seen this run rampant in poorly-crafted mission statements. Again, know what you want to say and make sure you’re choosing words your readers know…and for goodness’ sake just say it! Related to this…avoid “empty” words. In the arts, this trap is SO easy to fall into. For example, instead of using the word “program”, you could use: class, seminar, outreach event, a formal event title, production/performance name, etc. Proper names and titles can add so much meaning to even the simplest of texts. Don’t be afraid of first person. When writing on behalf of an organization, it is OK to use “we” or “our” in the proper setting (unless you have a specific reason not to). This helps express ownership and makes the organization seem more welcoming and less bureaucratic. Just, don’t overdo it. Like all good things, exercise moderation. Hopefully someone in the EALDC-verse found this helpful and is now better prepared to compose a killer e-newsletter, grant application, contract, annual appeal letter, and more. 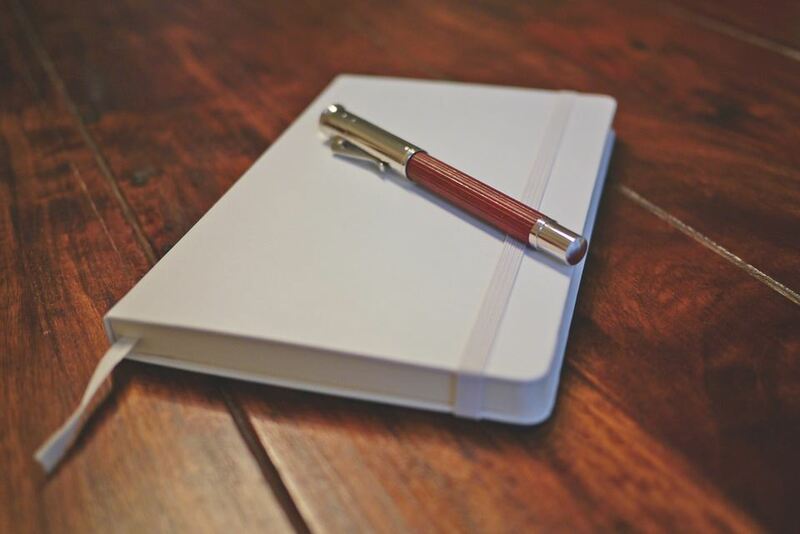 A strong aptitude for writing may be one of the most important skills that any arts manager can have in their arsenal and tools like this can be invaluable resources for self-motivated professional development. I’ll leave you with this…this blog post scored a 64.8 on the Flesch Reading Ease scale and a Flesch-Kincaid Grade level of 7.8. How do YOU think I did? **Tips for this blog post have been sourced from an invaluable presentation done by Shane Pekny at the 2016 Grantmakers in the Arts Conference titled “Readability Statistics: How to Write With Greater Power, Clarity, and Economy”. Some tips were pulled from additional sources, which are listed below. Instructions on how to activate readability statistics in Microsoft Word. Having spent the majority of my professional career working for arts organizations, the transition to philanthropy over the last year and half has been very educational and eye opening. As someone who has seen both sides of the fence, I thought I would share a handful of the lessons I have learned in my short time about successfully submitting a grant proposal! There is no substitute for research. As a rule, “Do your research,” is versatile advice that can serve one well under almost all circumstances but when submitting numerous proposals to many institutions, it can be a bit daunting to do all the necessary research for each potential funder. However, submitting a grant proposal that is not suited to the funding priorities of the funder and is unlikely to receive funding is more time consuming. As much as possible, learn about the funding priorities and funding history of the foundation before submitting a proposal. Key questions include: What types of organizations or projects are typically funded? What is the average grant amount? Is there a preference for general operating requests versus project requests? Are there geographic limitations to funding? The answers to these questions can help you determine if there is alignment between your mission and the funder’s priorities. If you don’t receive funding, ask “why?” After doing the necessary research and submitting a proposal, if you receive a letter from a foundation indicating your proposal has been declined, it is understandable to want to document the loss and move on to the next proposal. After all, what could be gained from follow-up if there is no funding attached? Well, plenty. Whenever possible, reach out to the foundation and request feedback on why a proposal was declined. Not every foundation will give you a direct answer but it is worth the effort for those that will. Though the decision has already been made and you may not agree with all the feedback, it is incredibly useful to know for future applications where there might be amendable weaknesses in a proposal or to hear where there are opportunities for clarity. It can also be an occasion to hear about best-practices of other organizations that have successfully received a grant. “No” this year doesn’t mean “no” forever. Proposals get declined for a number of reasons. It could be that the request doesn’t fit with the particular foundation’s priorities but it could also mean there were questions about finances, leadership changes, program scale, etc. While funding priorities are unlikely to change year to year, if the circumstances of your organization change in respect to finances, leadership, program, etc., it might make sense to reapply in subsequent years. This is where the feedback mentioned above can come in handy in determining when it is worth the time and energy to resubmit a proposal the following year. Fall is such a busy time at EALDC — and I know it’s a busy time for a lot of you, too! — but October in particular provides one of my favorite opportunities to see what people are thinking about across the field. This October will be my first National Arts and Humanities Month (NAHM) as the Membership Marketing Coordinator for Americans for the Arts, but as a long-time EALDC fan supporter prior to becoming co-chair, NAHM has long been on my radar thanks to Creative Conversations! Creative Conversations are exactly what they sound like—members of the arts field get together to talk about trends, brainstorm about challenges, and explore new ideas. There are a lot of different ways to have a Creative Conversation—you can do brown bag lunches, panel discussions, longer workshops, and even full day symposia—but the most important thing is to have one! Our annual Creative Conversation at EALDC is in a panel format, but we’ve found these discussions to be so valuable that we try to make space for them as much as possible. Our programming includes a second Spring Education Panel and monthly First Friday Lunch discussions, in addition to our Fall Creative Conversation. This year, our panel series is a two-parter about nontraditional funding structures. We’ll convene experts on what those structures are in the fall. In the spring, we’ll speak to the people who interact with those organizations—funders, lawyers, and freelance employees, for example—to learn more about the role these organizations play in the broader arts ecosystem. I'm excited to moderate the fall conversation and looking forward to learning more about the panelists our awesome events committee has been working to pull together! Past topics have included public art, risk-taking, and the art of negotiation. It’s been great to see how easily applicable some of these things have been for our members—and for me! The risk-taking panel introduced me to several case studies that I was able to use in my thesis about ways museums can make bold choices with their mission in mind, and our negotiations experts used their Q & A period to offer real-time coaching about conversations that artists and arts administrators often feel unprepared to have. I was lucky enough to moderate that panel, as well, and we had the opportunity to cover formal negotiations for full-time positions and freelancers, as well as how you use negotiation in your every day life. Both sessions provided tools that were immediately applicable for attendees. This year, I suspect we're in for more of the same: immediately applicable skills and knowledge -- the best kind, right? I hope you'll join us for our Creative Conversation on October 19th, but either way I encourage you to get out there this fall and talk to each other! Not in DC? Want to have your own conversation some time in October? Americans for the Arts has resources that can help get you started including webinars, research, and a quick primer on Creative Conversations. Be sure to let us know about the conversations you’re having this October—formal or otherwise—via email and social media. 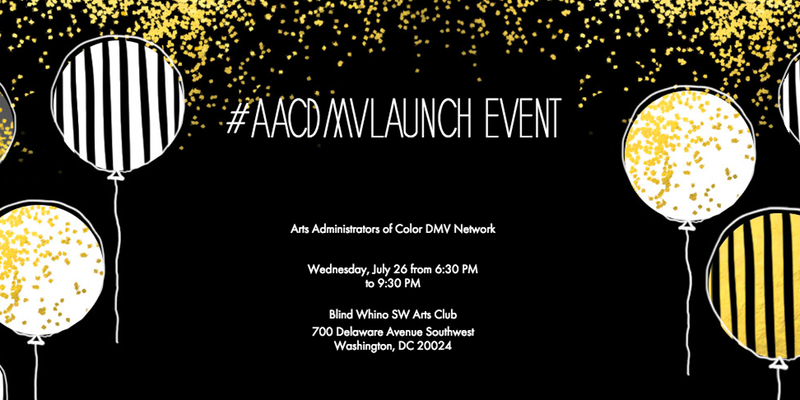 Use the hashtags #myEALDC and #CreativeConversation to help people find your thoughts. And live tweeters are always welcome when I moderate! 1) Do. Your. Research. If you are hoping to talk with a specific donor/prospect, make sure you learn as many details -- both large and small -- about them beforehand. This will help you to tailor your conversation with the donor and strategize before the meeting. Check your donor database for notes and ask your colleagues for help. Stay organized -- this can go a long way in creating a lasting relationship! 2) Donors are people, too! Don’t be scared of them. If you are talking with a donor or prospect, then they are likely already invested in your organization to some capacity. They want you to succeed just as much as you want yourself to succeed -- be confident in how you present yourself. 3) Have a stock list of questions. If you have a difficult time starting engaging conversations with donors, ask them questions. Some of my colleagues use the F.O.R.D. method (family, occupation, recreation, dreams) to turn small talk in to a larger conversation. People love to talk about themselves, and you already have something in common: your organization! Ask them about their recent experiences with your organization to get started. This can also steer the conversation towards their philanthropic interests and help you better understand their support of and interest in your organization. 4) Every interaction, no matter how big or small, makes a difference. For example, on the night of a busy event, you may speak with several dozen guests. You may not remember every donor/prospect you talk to (pro tip: jot down some notes on your phone after a conversation when you have a few minutes of down time! ), but each donor/prospect you talk to will remember you. Make sure to put your best foot forward during these interactions, because in that moment you are the foremost ambassador for yourself AND for your organization. 5) If an interaction doesn’t go well, it isn’t the end of the world. Instead of beating yourself up, go back and analyze your e-mail thread or write down conversation notes. What went well? What didn’t go well? How can you learn from this interaction and move forward? Share your thoughts with your colleagues so that your entire team can better plan future interactions with this donor/prospect. Reflecting back on my first six months, these are lessons that I know that I can now apply in the future to almost any field that involves working with external contacts -- but for now, I am happily learning tons and growing professionally in this challenging role. 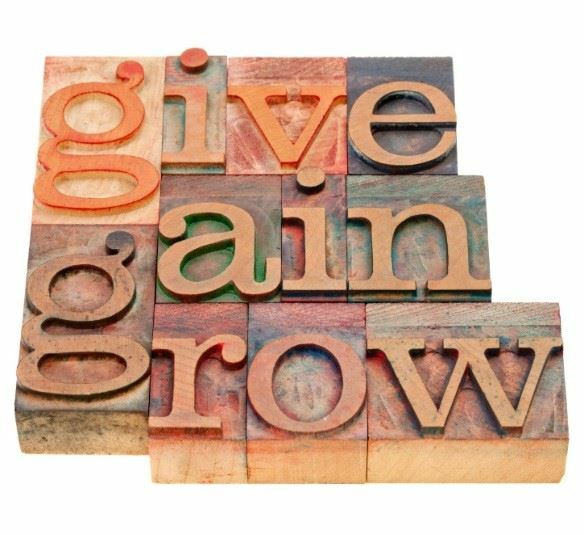 Do you have other tips for interacting with donors? Join Briana and Messay for November's First Friday Lunch to discuss!